As promised, here is a try on session with some great sale items, and new arrivals. 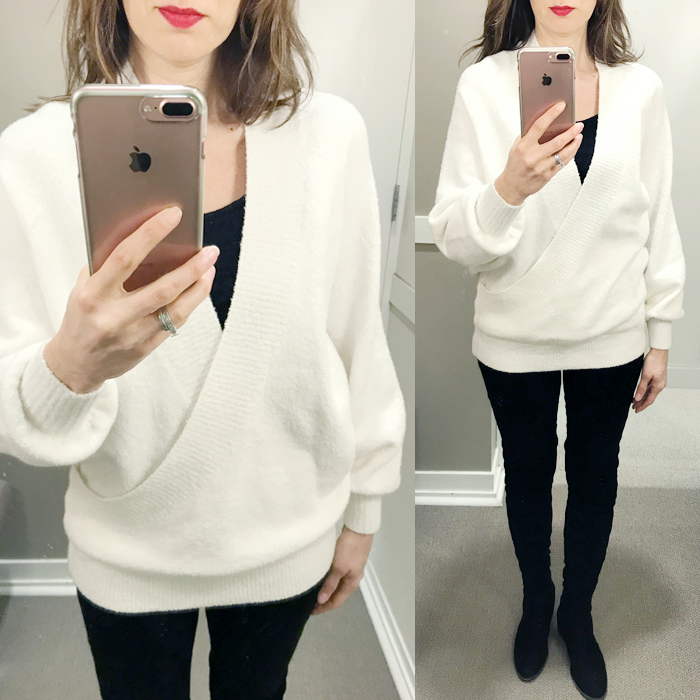 This is a fun sweater to layer a cami underneath. As far as sizing, I would size down - it ran a little big. 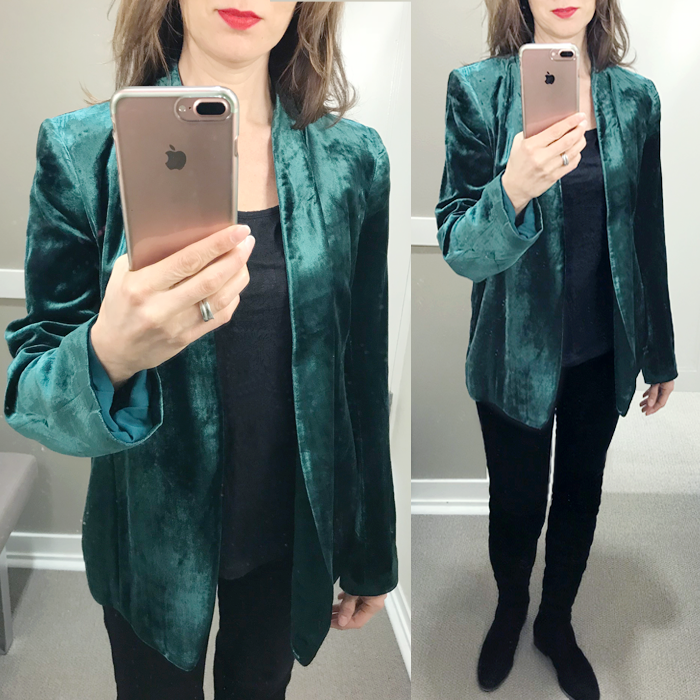 This blazer is a great deal - it has been on sale for as low as $30 - and currently is an extra 50% off the sale price. The smallest size blazer they had in the store was a size (or two) larger than I typically wear - so it is fitting a little bigger than I would typically wear it in these pictures. I did love this color and the emerald color below. I love this faux fur jacket that I actually own. And, my OTK boots - are less than a $100 - and so comfy. 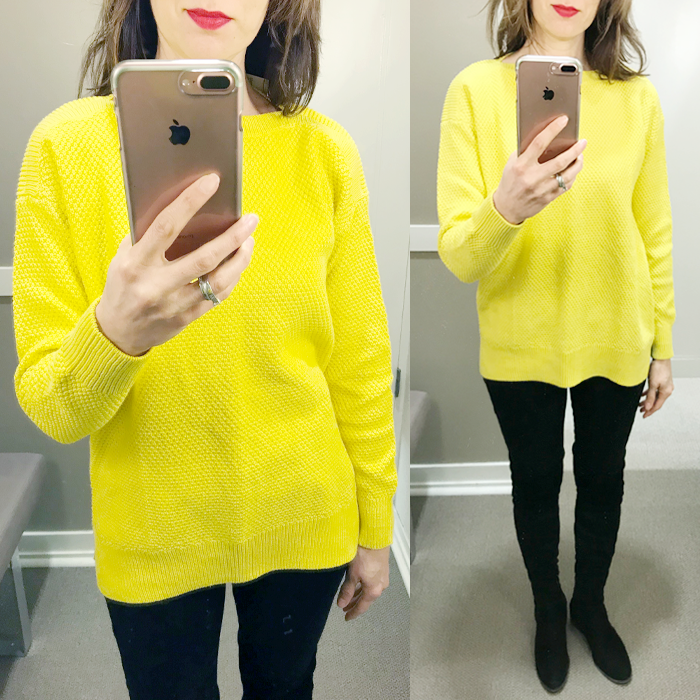 I love a bright yellow sweater with black jeans, and if you have a grey bag - that would be the perfect colored accessory with the look. I love this jacket and the color. Best part - it is on sale for $50. I am wearing Small - Tall in this jacket. And, I would size up to Medium if wearing a regular. This fun red faux suede skirt - cute styled with tights and booties - and it's 40% off. This striped jersey dress is only $8! This sunny bright yellow sweater (it also comes in other colors). I like this sweater in a pretty “blue pearl” color. This dress is on sale for $20. 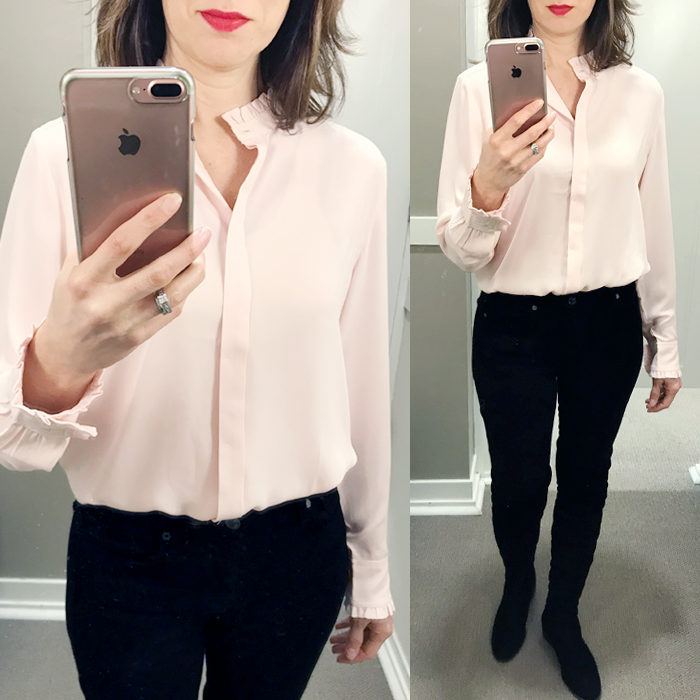 This ruffle blouse is the perfect color - and work wear staple. These faux leather leggings are on sale for $8! This pretty pink sweater with balloon sleeves is $25. These colored jeans are on sale for as low as $14. These fur trimmed boots look just like the popular ones - but for half the price. I love the blazers and that ruffled utility blouse. I also love your try on sessions! 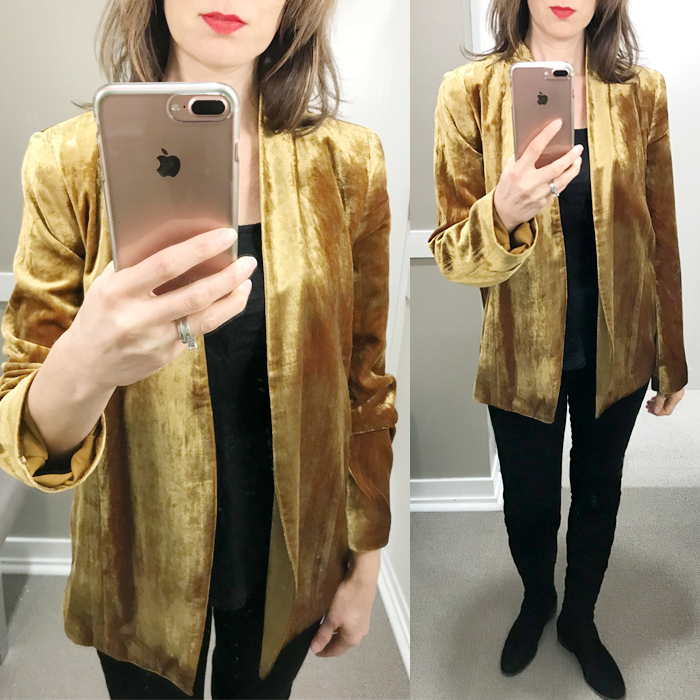 Those velvet blazers are so good! Loving these try on sessions girl. Ohh, that emerald blazer is so pretty! that furry sweater, so dang cute. I love your white hat too. 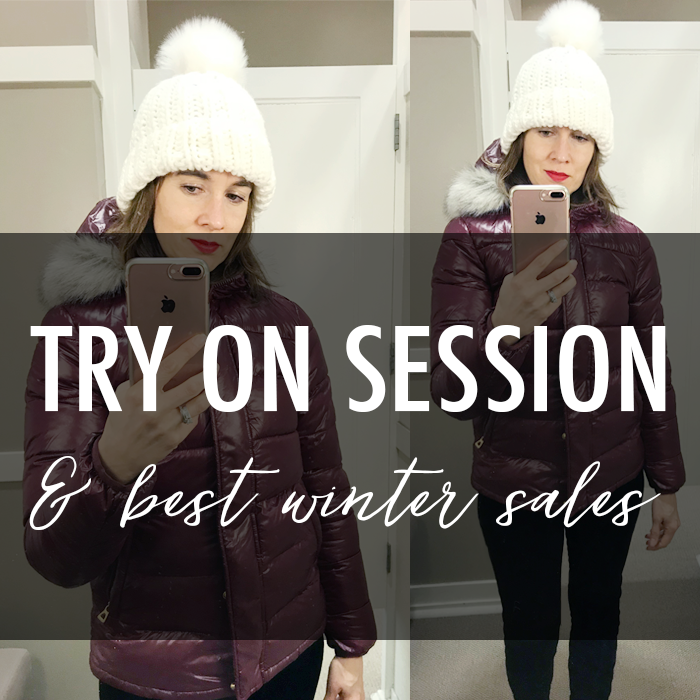 I love seeing try on sessions, keep them coming this year! You look adorable in the pom pom hat! Love all those sweaters! I ordered one last week at such a great price but I'm going to have to return it, it's just too hot. I was sweating trying it on. Oh well, I'll live vicariously through all of you who get to dress for the season! I always love your try-ons. 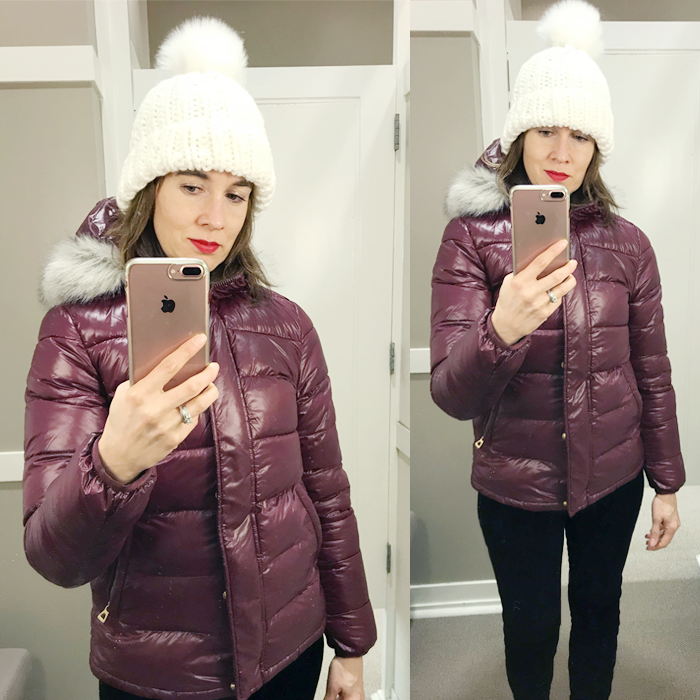 I haven't been to Loft since before Thanksgiving but I am lusting after ALL of these jackets. Welcome by tomorrow and every Thursday and linkup with me. Love your style. awwwww this just makes me miss you and want to go shopping with you. OOph, the outfits all look great. My favs are the teal velvet jacket.. that color is so pretty on. 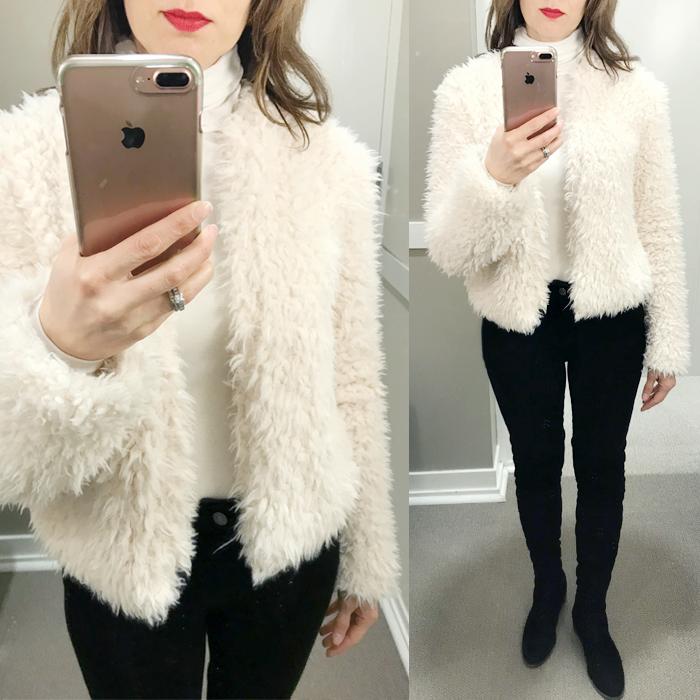 The furry jacket looks amazing on you and faux fur is so in!